February 22nd! Launch day for the PS4 in Japan! What games were people buying? We were dying to know. Of course, nobody in line was really thinking about other consoles. But, we had to ask anyways. 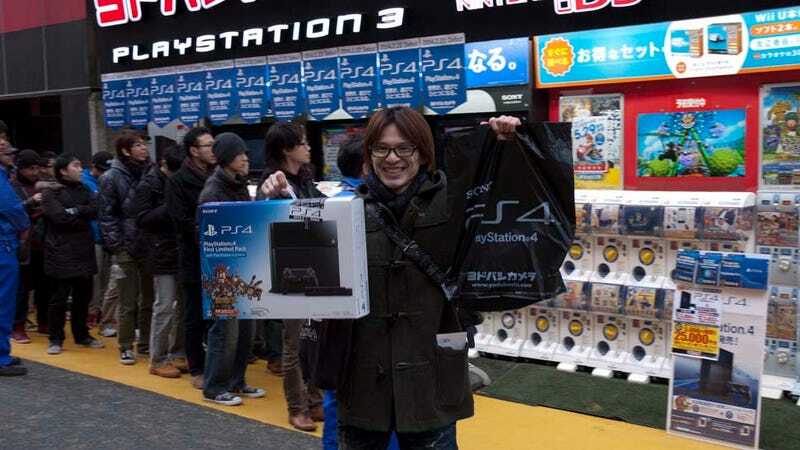 Launch day of the PlayStation 4 in Japan started at midnight with a Sony countdown event and some stores having midnight sales, but most game retailers decided to wait at least until daylight to open their doors. The, of course, there were the consoles sold via online retailers. 1. What game are you here for? 2. Do you own a Wii U? 3. Do you plan to get an Xbox One? Obviously, this was a group of gamers who were there for the PS4 on launch day, so there already is a bit of a bias. If anything, it was nice to see people enthusiastic for something they enjoy. Hey, it was nice to see people!